Daigo Umehara's comeback win over Justin Wong at Evo 2004 is one of the most legendary gaming moments of all-time. Originally recorded at the Evo Championship Series in 2004, Evo Moment #37, or the Daigo Parry, is one of the most iconic clips in the history of competitive gaming. Nearly 15 years later, new footage showing the match between Street Fighter legends Daigo Umehara and Justin Wong from a different angle has been uploaded to YouTube by Evo collaborator Mark Julio. For thousands of gamers around the world, Evo Moment #37 or the Daigo Parry, is one of the most recognizable esports moments out there. Originally recorded at the EVO Championship Series in 2004, the clip shows Japanese fighting game legend Daigo Umehara making a dramatic comeback against one of America's strongest players, Justin Wong. The original clip, which includes commentary and crowd footage, has been watched more than 100 million times through different uploads on YouTube. For those who have never played "Street Fighter 3: 3rd Strike," the game lets players avoid damage by parrying attacks. Players have to tap forward on their controller 1/10th of a second before a move hits to parry correctly. If you mess up the timing, you get hit. In this clip, Daigo Umehara manages to parry 15 kicks in a row from Chun-Li, squeezing in a jump before the final parry so he can punish Wong with the hardest possible combo and steal the win. 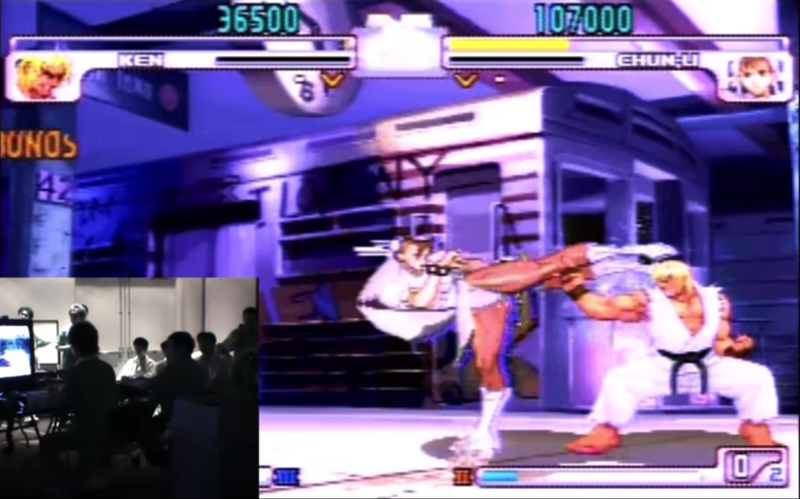 Now, more than 14 years after the original match, Evo collaborator Mark Julio has uploaded footage of the full match from a new angle that captures even more of the intense crowd reaction. Ironically, neither Daigo nor Justin Wong won the tournament that year. Japan's Kenji "KO" Obata took first while Daigo and Wong took second and third, respectively. But excitement surrounding the Daigo Parry helped "3rd Strike" cement its competitive legacy; players still host "3rd Strike" tournaments today alongside the most recent fighting games. Daigo and Wong both remain active within the competitive Street Fighter scene and have played each other in countless matches in the years since. If you want to learn more about Evo Moment 37 and the competitive Street Fighter scene, check out this documentary from Kotaku.